Although this blog is about national security, I post regularly about science. I have many reasons. For example, the misunderstood world of intelligence gathering and analysis has many similarities to the job of science. Also, military history has to fall under the same scrutiny as any academic enterprise, so that we can have confidence in the lessons learned. I also know that a lot of people--way, way too many people--have a lot of misconceptions about science. At one extreme, you have the Creationists, who are arguing against a form of science that does not exist. This faction chafes at the presumed arrogance of scientists, whom they see as a bunch of smarmy know-it-alls. In reality, scientists are hardly arrogant--and in fact, the scientific enterprise metes out hard punishments for arrogance. It's hard to be a know-it-all, when in fact, you don't think you "know" anything, in the sense that you've reached the absolute truth about how nature works. Instead, scientists work with the best explanation so far, and they have to be ready to constantly revise that explanation. Take, for example, something as distant to our understanding as black holes. We've never directly seen observed--and that's not just because, by definition, the light used to see other objects can't escape the event horizon of a black hole. We have to infer the existence of black holes from X-ray emissions, the structure of distant galaxies, the wobble in the motion of stars, and other clues. It will be a long, long time before humans can directly reach the neighborhood of a black hole, to get a closer look at something that started as a possible outcome of Einstein's equations about mass and space. Still, even without close-up observation of black holes, enough evidence has come from other sources to render the first descriptions of black holes obsolete. 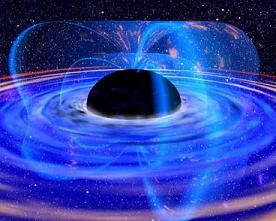 Astrophysicists have come to appreciate the rotation of a black hole as a defining property. Rather than imaging black holes scattered through space, we now talk about supermassive black holes at the center of galaxies. For decades, scientists have tried to figure out how to detect miniature black holes, if they exist in the fashion that the theories predict. Last week, a new challenge to our understanding of black holes emerged. Astronomers observed what they conclude is a "stellar black hole"--one that's not at the center of a galaxy, where black holes can gorge themselves on the matter around them--more massive than any stellar black hole should be. How did scientists respond? Almost with a shrug. The theories may need to be revised. "We're having trouble using standard theories to explain this system because it is so massive," study team member Jerome Orosz of the University of California, San Diego, told SPACE.com. However, something unusual must have happened to M33 X-7 during this phase to create such a massive black hole. "The black hole must have lost a large amount of mass for the two objects to be so close," Tomasz Bulik, an astronomer at the University of Warsaw in Poland, writes in related Nature article. "But on the other hand, it must have retained enough mass to form such a heavy black hole." The team estimates the black hole's progenitor must have shed gas at a rate about 10 times less than models predicted before it exploded. "[M33 X-7] might thus provide both the upper and lower limits on the amount of mass loss and orbital tightening that can occur in the common envelope," added Bulik, who was not involved in the study. However astrophysicists resolve this particular situation, the response is hardly arrogant. Since I'm on this jag about science and politics, I'll throw in a thought about the much-ballyhooed opening of the Creationist Museum. 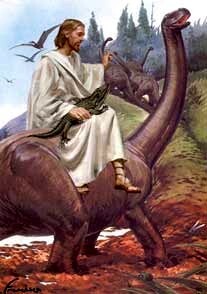 Of course, it's ridiculous, particular in its strange insistence that dinosaurs and humans co-existed in pre-history. (Of course, Biblical literalists don't really believe in a pre-history, since the Bible covers everything that happened from the origin of the universe through the early Roman Empire.) What's even more ridiculous is how this narrow-minded faction misses the opportunities to lodge more powerful complaints about current scientific theories concerning the origins of life on Earth. Take, for example, the problem of the first self-replicating molecule. At some point, according to modern science, inorganic matter had to turn into something capable of reproducing itself and evolving. DNA is too complex to consider as the first such self-replicating molecule. Worse, DNA can't replicate without the assistance of other molecules. That second problem poses a nasty chicken-and-egg dilemma: how could DNA exist without these "helper" molecules? And why would these "helpers" exist in abundance, since they don't seem to have much of a function other than to be the handmaidens to DNA replication? The first replicating molecule is also a more serious scientific problem than, say, the evolution of complexity later in the history of life. Creationists will ask, "Why would as complex as an eye evolve, if there was nothing useful between a blind organism and a fully-developed eye?" The answers to this question are far more solid than the explanations about how an empty, sterile Earth became home to a superabundant ecosphere. However, for creationists, finding a more convincing challenge to evolutionary theory is far less important than making the challenge. You can't find the weaker points in evolutionary theory without becoming a scientist yourself. However, if your goal is simply to see how much you can intimidate high school science teachers, or manufacture collective outrage within a congregation, you don't need better scientific challenges at all. The same, boneheaded complaints, already answered countless times, will suffice. Enough people in the Bush Administration have themselves been hostile to science, or have been politically aligned with the anti-science crowd, that it's fair to say that the anti-science faction has had a profound influence on American politics in the last few years--including foreign policy. The hostility extends to both the results of science as well as the scientific method. While you might easily find lots of examples--appointing a politically orthodox but scientifically clueless PR person to censor NASA public announcements, removing birth control information from the Health and Human Services web site, the determination to never admit the possibility of global warming, etc.--nowhere can you find a better example than the beseiged intelligence community, especially the CIA. The whole work of intelligence resembles science so closely that it would have been amazing if the CIA had not run afoul of Bush, Cheney, Feith, Wolfowitz, et al. First, process of intelligence collection and analysis is close enough to the scientific method to give any anti-science person a great deal of discomfort. Information comes from a variety of sources, none of which are 100% reliable. A satellite picture might tell you some important technical detail, such as the class of warship photographed at sea; it doesn't tell you what that warship is ordered to do, or how well prepared the ship and crew are to execute that mission. Spies collecting information about the ship--for example, by getting friendly with sailors while they were in port--provide bits and pieces of the story. However, a particular sailor may know very little, misunderstand what his ship is supposed to be doing, or be part of a disinformation campaign. Often, the mechanisms of intelligence gathering, human and machine, have blind spots. Today, the US intelligence community has very poor contacts within the Iranian government, just as it had almost no reliable sources within the Iraqi Ba'athist regime before the 2003 invasion. Purely technical methods of divining Iran's nuclear capabilities are unable to peer through the tons of solid rock between, say, a spy satellite and an underground research facility. However, analysts have to make do with the information provided. After judging the value and meaning of each individual piece of information, they have to then make conclusions. The best intelligence agencies have built-in mechanisms that question both the purported facts and the conclusions, through mechanisms such as "Red Team" analysis. In other words, intelligence officers have to act a lot like research scientists, enduring challenges to their theories through a rigorous peer review process. This process--slow, imperfect, disputatious--can be frustrating to decision-makers in the best of circumstances. Political leaders need to make decisions and ensure their successful execution; intelligence analysts can be the source of enormous uncertainty, constantly reminding leaders that their policies rest on the constantly shifting sands of the best current intelligence they have. Therefore, the intelligence community has learned how to package and deliver its "product" carefully for its primary "customers." Incidentally, that MBA-like terminology is exactly the language used in the intelligence profession today. Unfortunately, those terms give the impression that intelligence is like a custom-manufactured product, carefully designed to make the "customer" happy. In reality, the job of an intelligence analyst has nothing to do with customer satisfaction, in the sense of telling the decision-maker what he or she wants to hear. Instead, intelligence officers are, as I indicated, a lot more like scientists than car manufacturers. They have to present their conclusions as the best current guess, with the caveat that new facts might force them to discard the current hypothesis. Analysts also have to be honest about the differences of opinion that might exist among them, if there was genuinely no way to determine who (if anyone) had the right opinion about the politcal strength of the Iraqi insurgency, the North Korean nuclear weapons program, the purpose of China's naval modernization, or whatever the topic at hand happens to be. Experienced, capable, and confident leaders learn how to live with this uncertainty. They know how to live with the ambiguity of intelligence, without being paralyzed by doubts. They also know how to respect the people who do intelligence work, when they cannot deliver either the answer these leaders want to hear, or the certainty they wish they had. For example, President Kennedy may have been unhappy with the CIA's inability to accurately report the chances that the Bay of Pigs invasion would succeed, but he didn't treat the CIA as his personal whipping boy from that point forward. By the Cuban Missile Crisis, he both had a different CIA director and a better grasp of how to use the CIA effectively. If you are not an experienced, capable, or confident leader, the intelligence community will give you fits. I might say a lot here about how George W. Bush and many members of his Administration have not been as experienced, capable, or confident as they should have been. However, the real topic at hand is how a hostility to science complicates the relationship between the White House and the intelligence community. People who cannot accept global warming, evolution, or the Big Bang because they seem wrong are unlikely to be open-minded about intelligence reports that don't fit their preferred outlook on foreign affairs. When intelligence professionals defend their conclusions by explaining how they arrived at them, they may be aligning themselves with another profession that particular American leaders find equally contemptible: scientists. While I'm working on the next "Great Divide" post, I have to pass along this excellent item from Lawyers, Guns, and Money about "baraminology," one of the by-products of creationist pseudo-science. Never heard of it before? That's because it's not real science, but one of the cheap, artificial gewgaws that creationists use to dress up their particular branch of pseudo-science. While they don't want to play by the rules of science, creationists want to pretend they're scientists. What’s behind the anti-science position? I’m in no position to answer that question, since I haven’t done detailed research myself. Classic studies, such as Richard Hofstadter’s Anti-Intellectualism in American Life, may not capture the current reality at all. I’m not aware of current research into this specific question, so I certainly welcome anything pointers from you, the reader. I can give a few personal examples. I’ve known several people who believe sincerely that they are challenging previously unchallenged “truths.” For example, in my past career, when I was teaching a seminar, a few students expressed their outrage over the whole enterprise of social science. How, they asked, could someone present the theories of political science (the topic of the course) as Truth with a capital T? Can’t you always find facts to support your position? Isn't science, therefore, a fraud? Happily, I told them that they had happened on the actual principles of science in general, including social science. Unfortunately, they took a rather tortured, thorny path to get there. Trained scientists would tell you that the scientific method demands a pursuit of facts disputing your theory, rather than supporting it. Additionally, no scientist worthy of the title would ever claim that theory amounts to immutable truth. Instead, theories are the best explanation we have currently—the most elegant theory that, so far, has survived the challenges to it. Tomorrow, when a new set of challenges emerge, who knows what will happen? 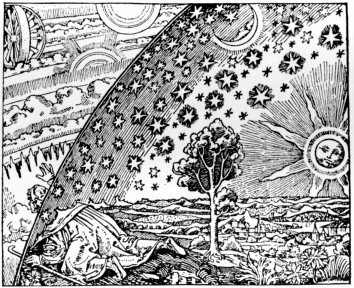 When astronomers couldn't explain the position of Mercury, as observed in the sky, modern physics collapsed. OK, that's a bit of an overstatement. There were more empirical challenges to Newtonian physics than just one observation, and Newtonian mechanics have not been completely replaced for many applications. But you get the idea. Honestly, I’ve known professional scientists who don’t really understand the scientific method fully. (In one case, I heard a political scientist say that you look for facts that support your theory—again, exactly the opposite of how science really works.) They’re bad scientists, just as there are bad judges, bad doctors, bad politicians, bad mutual fund managers, and other people who are inept at their profession, or unfaithful to its ethos. I’ve also known people who reject science because they can’t accept the results. Unfortunately, science always produces answers that we don’t expect or prefer. Take, for example, this list of ten myths about divorce. The current state of the research, as cited in this list, challenges nearly everyone’s cherished beliefs. Living together doesn’t seem to improve the chances of staying married. Children are not automatically better off with a stepparent than just a single parent. If you feel uncomfortable with this list, you should look into the research behind it, and challenge it where it appears weak. What you should not do is challenge these conclusions because you don’t like them. Sadly, people have been shooting the messenger—in this case, scientists—for as long as humans have been receiving unhappy news. However, what’s different about today’s anti-science faction is their claim that a vice, willful ignorance, is actually a virtue. What is more important, they argue, is the world that should be, not the world that is. Therefore, we have a generation of people who reject evolution, but are willing to accept the medical benefits that come from every branch of biology (including immunology, which doesn't make sense if you ignore the rapid evolution of microorganisms). We also have a generation of leaders that include people who believe that they can will the international system into a different shape, or a different set of operating principles. As I said in the first post in this series, these attitudes leak into politics, affecting both the leaders and the led. Lastly, I’ve known people who reject science for the basest of reasons: they just don’t get it. Science is an elite democracy, in which everyone has the right to challenge the current state of knowledge, but they have to do it with a level of skill that not everyone possesses. Not everyone is entitled to their opinion, if it’s unsupported by the facts or logic. In fact, opinion has no role in science; principled argument, standing on firm empirical foundations, is the only thing that matters. You can neither break the rules of argument, nor can you pretend that the facts don’t matter. Sadly, some people have base motives for ignoring these strictures. They may be demagogues, eager to whip up a crowd. They may be resentful that someone else is smarter or more knowledgeable than they are. (To be fair, I’ve known plenty of Ph.Ds who are brilliant in their field, but moronic about everything else in their lives.) They may be terrified of living in a world where cherished beliefs, such as the shape of the world, or the laws of physics, can change overnight. It’s difficult to argue with them, which makes it a good reason not to include them in public forums for the debate of scientific conclusions and their practical consequences. Diehard anti-scientists do not have a valid opinion that deserves to be aired. There’s very little the rest of us have to say to them, and vice-versa, so the chance of an on-air “conversion” is practically nil. However, people who have credible challenges to current science should always be welcome. This conclusion—there’s little point debating the anti-science crowd—may be unnerving for the determined optimists out there. On the other hand, I’m not saying that we should give up on a significant fraction of the American public. Just as Christians always hold out the prospect of salvation to sinners, the pro-science majority must always be ready to talk to the anti-science minority. For example, it’s important to have the refutations of creationism handy for when someone is willing to listen. The traditional argument between Democrats and Republicans over fiscal policy and the welfare state ebbed long ago. Democrats during the Clinton years embraced tougher spending caps and welfare reform; Republicans under Bush II have driven up the federal deficit at an unparalleled rate, to a staggering peak. Morality is less of an issue for voters than it is for Sunday talk show pundits. Americans may disagree over when, between insemination and birth, the legally protected definition of human life should begin, but a vast majority believes that the answer is largely a judgment call. Americans have few fundamental differences over foreign policy. The 9/11 attacks only solidified the consensus about maintaining America’s defenses, and re-focused collective attention on the terrorist threat. Certainly, with the Iraqi occupation, Republican leaders have taken “state-building” far beyond anything the Democrats have contemplated. The real divide—the one that absolutely separates one group of Americans from another—is science. A minority of Americans are now actively hostile to both the methods and results of science. There is no compromise position agreeable to them: science is either repugnant, or it’s not. This chasm has deep implications for every aspect of politics, including national security (which is why I feel comfortable talking about it on this blog). Happily, the percentage of Americans who fall into this camp is not large. However, the nature of their disagreement with everyone else, and the vehemence with which they pursue it, distorts politics to a degree far out of proportion to their numbers. If you buy a watermelon at the supermarket, and stuff it into the bag with the rest of your purchases (a carton of eggs, a loaf of bread, a few tomatoes, etc. ), the watermelon will still be only one item among many. However, its effect on everything else is, needless to say, considerable. How can you measure the size of the anti-science faction? Look at the polls about evolution, the origins of the Earth and the universe, and global warming for a hint. (The number of Americans who think that the moon landing was faked represents the minimum number of anti-scientists.) The effects of these opinions about physics and biology are much larger, seeping into public and private debates over foreign policy, military strategy, and intelligence, not to mention everything on the domestic political agenda. The bellicose, besieged branch of Christianity that has expanded over the last few decades has swelled the ranks of this faction, but it is not the only explanation for its existence. It’s difficult to separate cause and effect in the relationship between Christian fundamentalism and hostility to science. Do a believer’s pastor and peers change that person’s opinion on science, or do people already uncomfortable with science gravitate towards particular Christian sects? Pastoral affiliation isn’t an absolute indicator of attitudes about science. A large number of evangelical Christians are perfectly fine with evolution, global warming, the Big Bang explanation for the universe’s origins, and other common targets of the anti-science faction. Some believe that God exists, not in the way described literally in the Bible, but in the proverbial watchmaker who created the universe and set it in motion. Antipathy towards science is not limited to fundamentalist Christians. People who follow other faiths, or who are not measurably religious at all, share that opinion. It would be misleading and unfair to the large, varied community of Christians to lay all the blame for the rise of anti-science opinions at their feet. However someone achieves hostility towards science, the position itself is uniquely unassailable. To refute it, you have to use many tools of science—which are a priori rejected by the anti-science faction. To argue the merits of evolution, you have to become an evolutionary biologist—something that this faction refuses to do. Even when this group appears to be playing by the rules, they don’t. The most common example is their citation of polls and studies that point in the direction a member of this faction prefers. Often, the citation is presented as a prima facie case, without regard to the quality of the research behind it, possible ways to resolve the different results among polls and studies, or even if researchers are asking the same questions. POSTSCRIPT: It’s easy to misread the polls about evolution and creationism. As this Pew study shows, the question that should be posed is, “How did life emerge?” Religious people have varying answers, from, “A demiurge-like deity created the world, and then stepped out of it, allowing the machinery to grind on, eventually creating life,” to, “God created the world, and all life on it, exactly as described in [your religious tome here].” Therefore, the question, “Did God have a hand in the emergence of life on Earth?” is vastly oversimplified, missing many religious people who accept evolutionary biology. By the way, the illustration for this post, a famous painting by William Blake, is meant to convey how, for many people, religion and science can comfortably co-exist in the same mind and heart.